Burgers Restaurant grills up an insanely delicious burger - made from Choice Beef, which is ground fresh daily. It's one of those iconic burger joints that you dream about every time you're away from Mammoth. 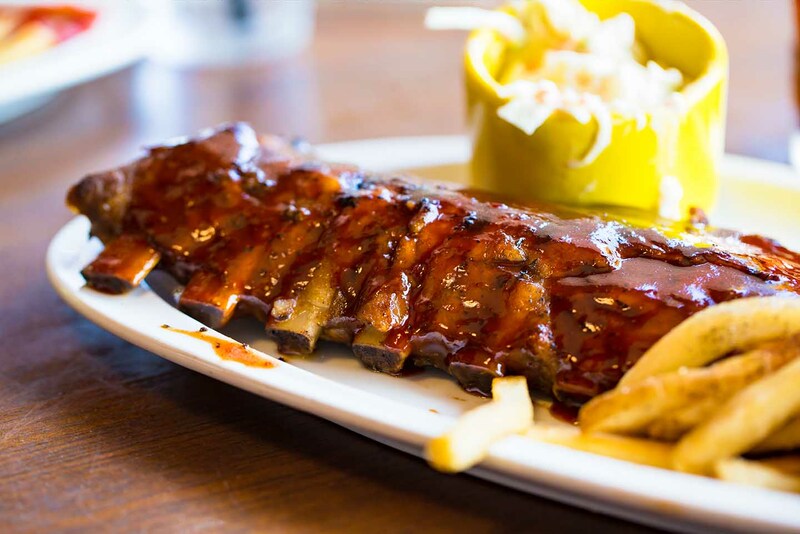 They're also well known for their Pork Baby Back Ribs, served with a side of fries. The whole family can find something to enjoy at Burgers Restaurant, with salads, sandwiches and homemade dressings.